Head to The Duke for a hearty lunch. 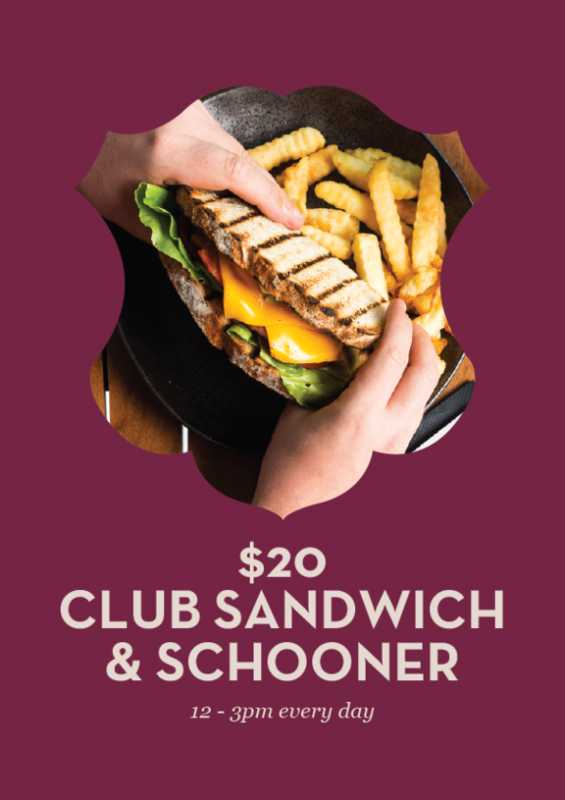 Dig into a club sanga & schooner for $20. Available every day from 12-3pm.